Use the Referral, Insurance, Prescription Correspondence Log to record any communication about a patient between your office and specialists, insurance companies, or other outside parties. 100 forms per tablet. The Referral, Insurance, Prescription, Correspondence Log allows for all correspondence, to and from specialists, insurance companies and others to be identified and filed in an orderly fashion. 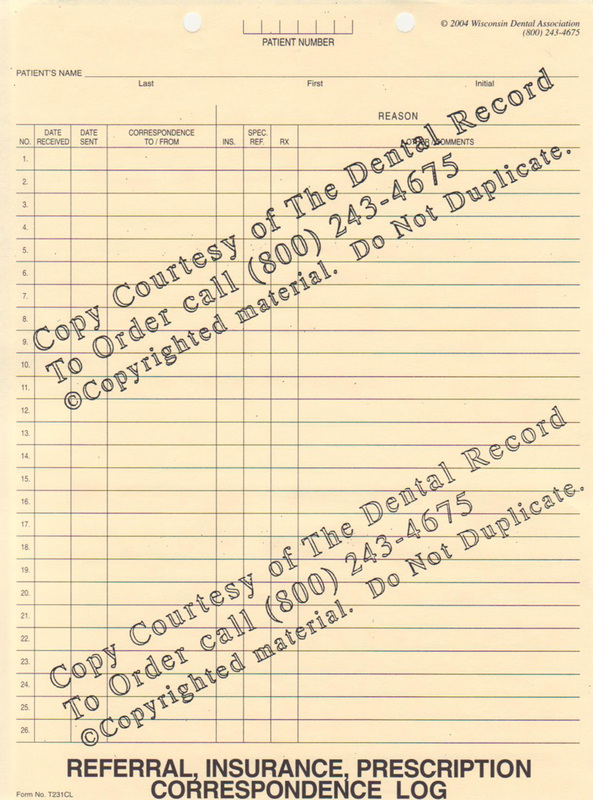 Use of the form cuts down on the need to go through other files to find correspondence relating to this patient. It becomes easy to scan the log and find the particular letter that is needed from the insurance company, referring dentist or specialist.